The women fear for their lives, with the resurgence of violence between the army and Islamists. In the last week in the capital, 97 people died and 404 were injured. More than 1,000 Indian nationals working in Libya. 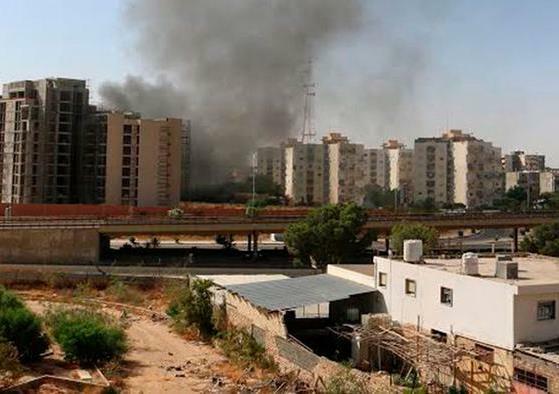 New Delhi (AsiaNews / Agencies) - A group of 65 Indian nurses are trapped in Tripoli, Libya, where 97 people have died and 404 have been injured in the last week of clashes between the army and Islamists. The workers - all originating from Kerala - want to return home "immediately". More than 1,000 Indian nationals are working in Tripoli and Benghazi, hotbeds of fighting. More than 350 nurses of Indian nationality are employed in a medical center in the capital. P. Sudeep, an official of the Non-Resident Keralites' Affairs department of the State of South India, said that a total of 120 nurses "and other workers" in Libya have called their office to try to get back home. Of these, "65 have asked for immediate repatriation." Oomen Chandy, Chief Minister of Kerala, spoke with the Foreign Affairs Minister Sushma Swaraj and "asked her to arrange their evacuation." The problem is that the Tripoli airport is closed. The nearest one is located at Mitiga, 15 miles away. In 2011 - at the height of the violence that led to the fall of Colonel Muammar Gaddafi - the central government of India led a massive rescue operation to evacuate thousands of people from areas affected by the conflict.